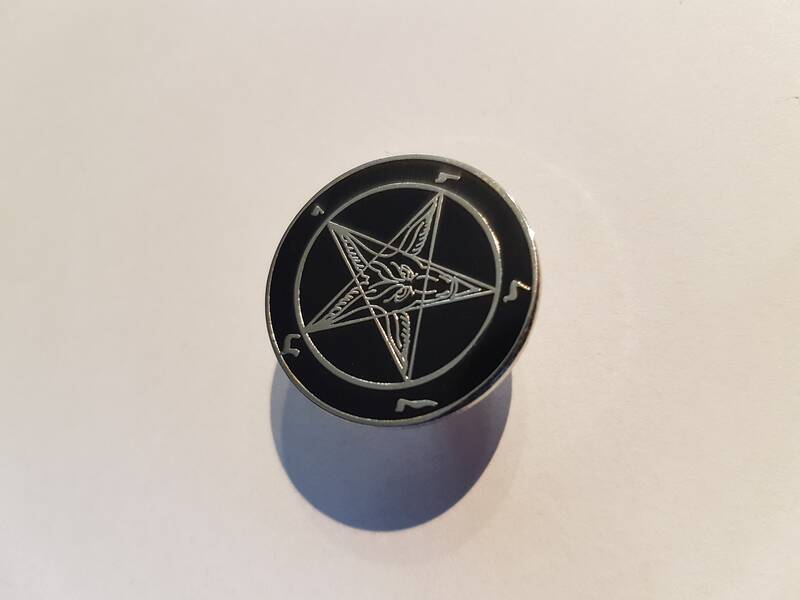 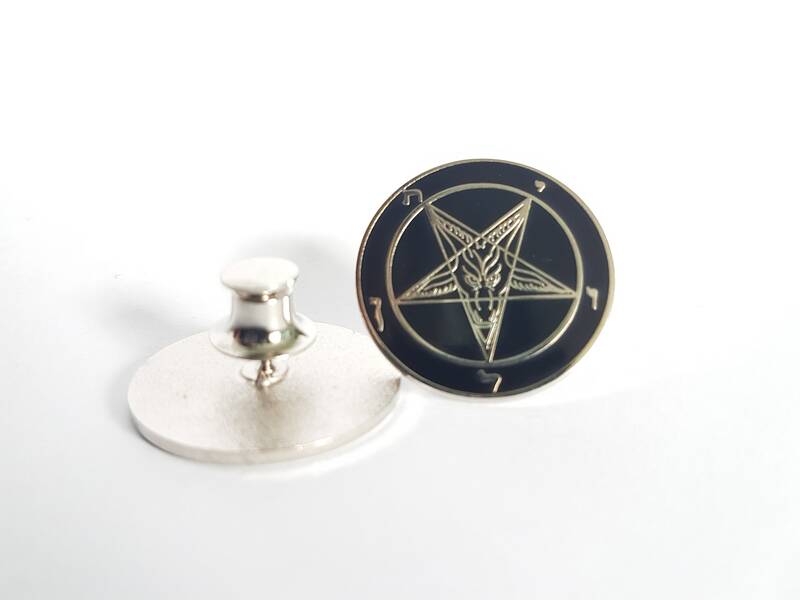 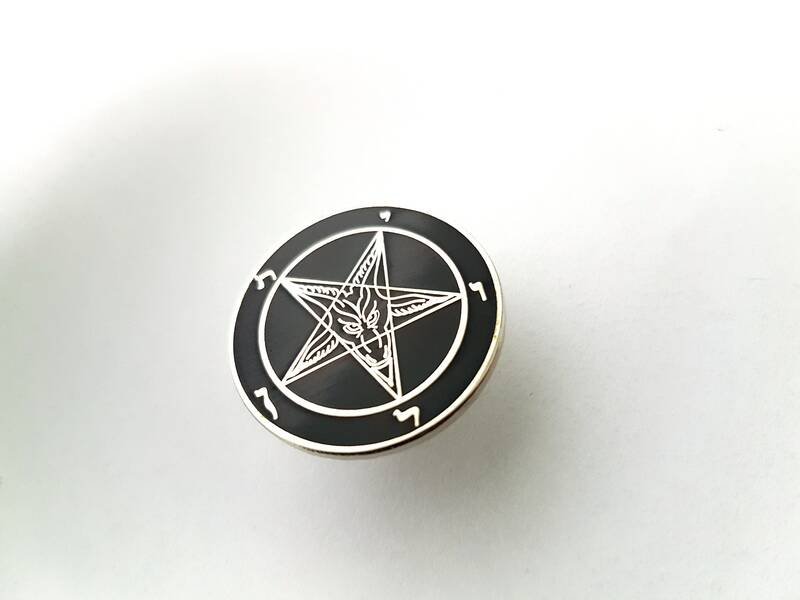 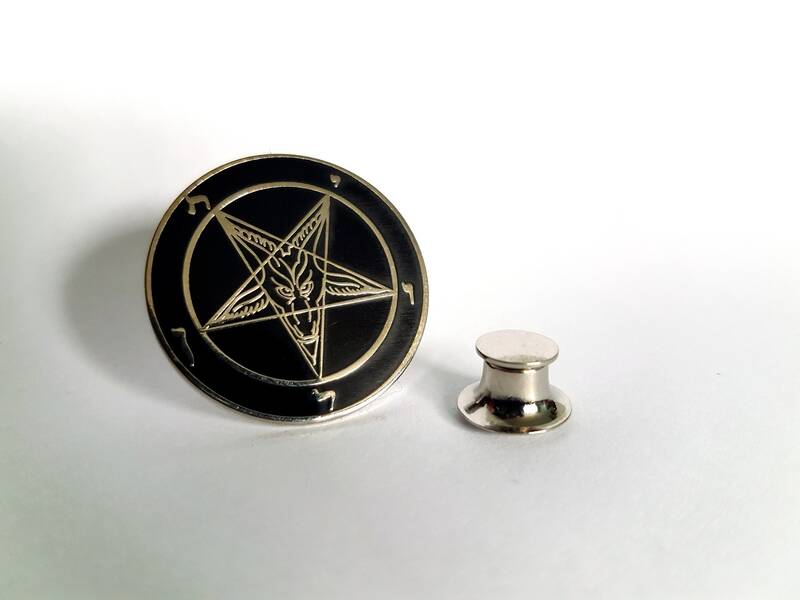 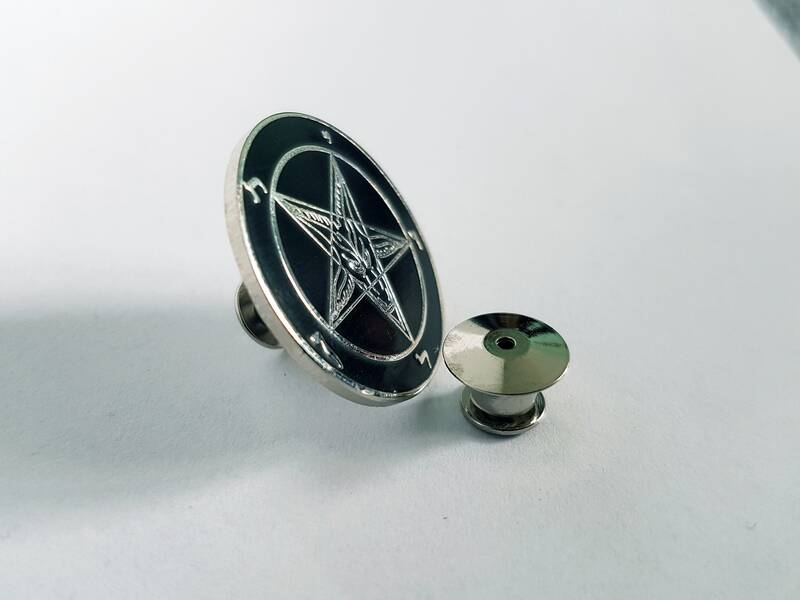 Sigil of Baphomet Lapel Pins. 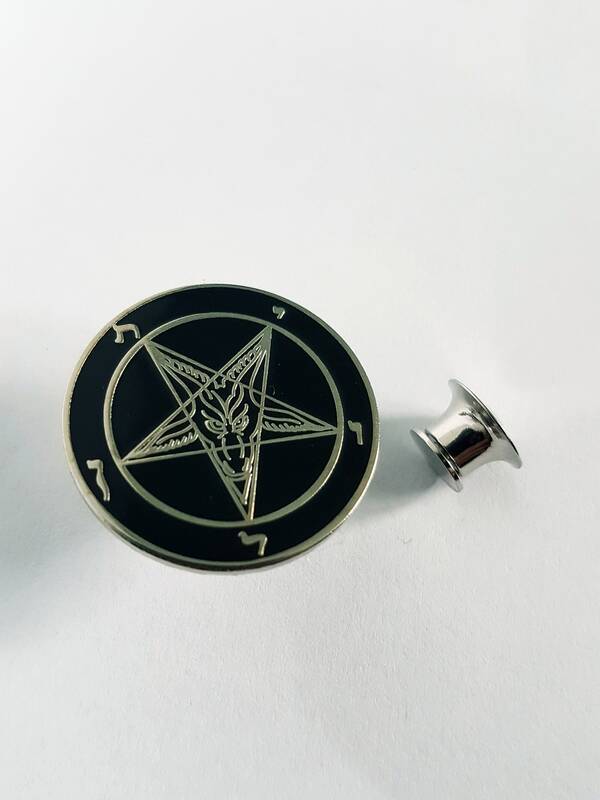 - Silver colour on black background. 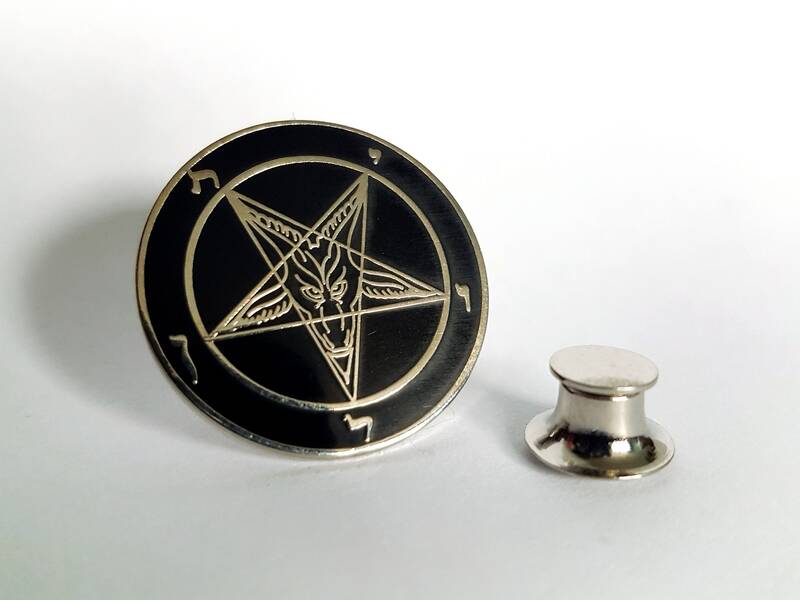 No low quality closing mechanism! 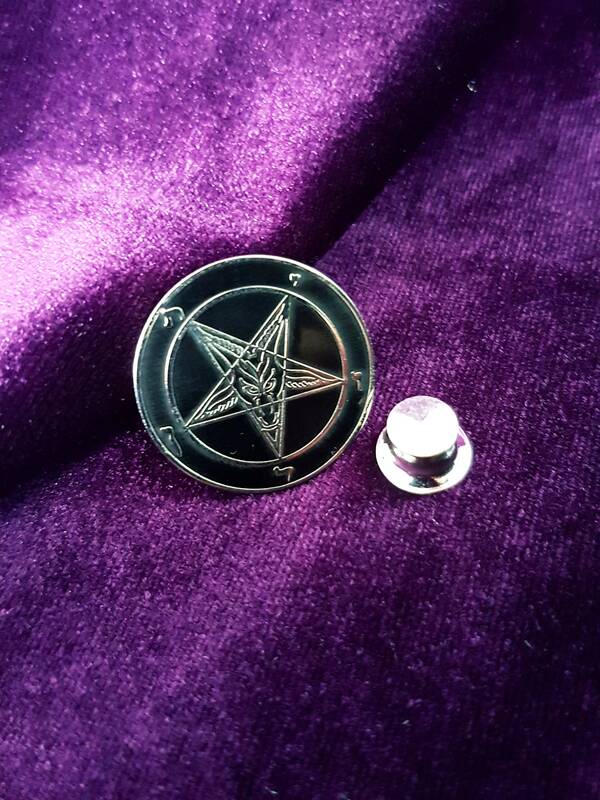 The closing button we use has a mechanism that closes firmly and clicks in place so you will never lose your pin.